Hi Guys - a while back we announced that the Numa Wear to Win Program would be back for 2013. We are happy to say that it is back - bigger than before, with more tournaments. This years Lake Muskoka Pike Open will be taken place on SUNDAY MAY 26th, 2013. Registration starts Feb 1st. *Position incentive registration is from Feb 1st - 14th. 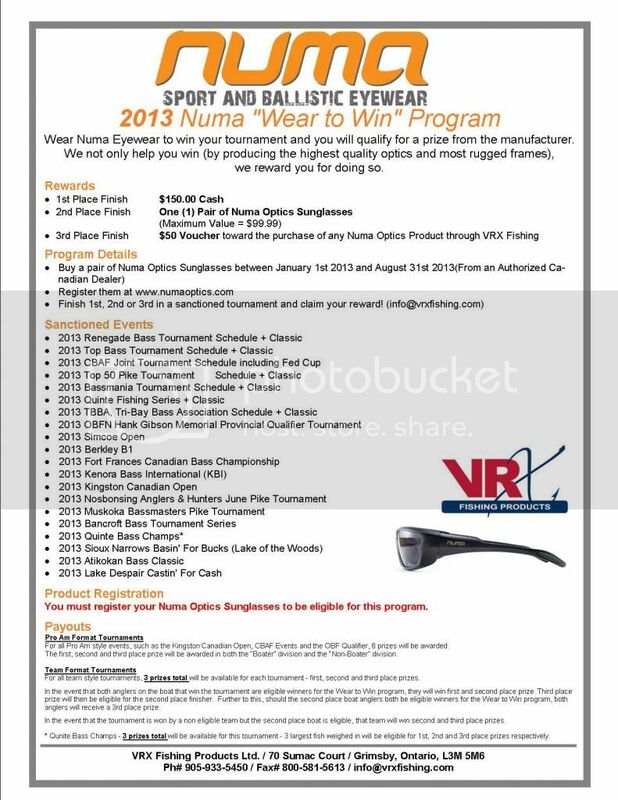 * Early Bird Prize (***FREE ENTRY, $210***) Registration must be in by April 14th...winners will be announced April 15th. Bass Pro Shops will be sponsoring the Top 50 Pike Series this year. 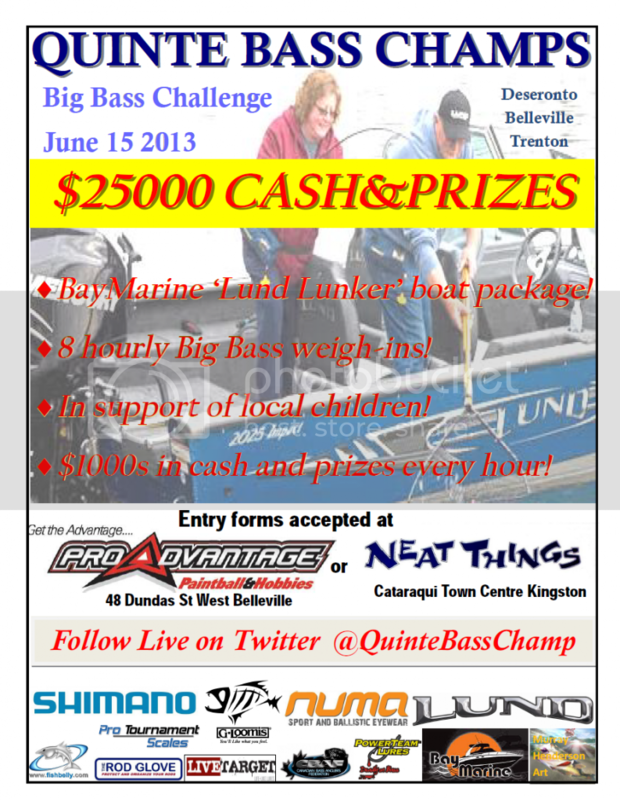 They will be the title sponsor of a new award given to the top angler or team in each region. Spring is finally on it's way and the 20" of ice is not embracing climate change. We invite everyone, well the first 100teams anyways, to compete in this year's Pike Tournament on Southern Georgian Bay. Big water / small water we have it all in Honey Harbour.